Tapenade is a French olive paste and can be eaten as a dip, spread and as a dressing which is how we use it most in The Riverford Field Kitchen. This recipe is great for sharing as a starter or light lunch. 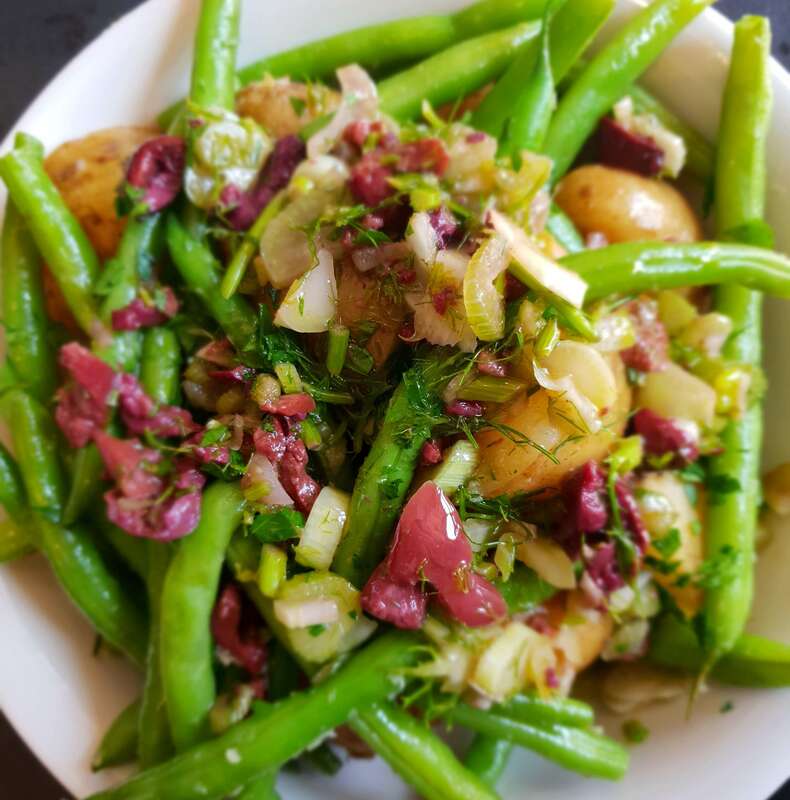 It's so versatile - we serve it on a variety of vegetable dishes: with French beans and grilled leeks, tomatoes & watermelon salad and with new potatoes. It will make more tapenade than you’ll need for one meal, but it’s not worth making less, and it keeps well for a few days in the fridge. Remove the stones from the olives with a pitter or a sharp knife. Put in a food processor with the capers, anchovies, garlic and thyme, and whizz to a rough puree. Squeeze in the lemon juice and, with the motor still running, add the oil. Pound the garlic, anchovies, capers and thyme together in a pestle and mortar until smooth, followed by the olives, leaving these slightly more chunky, then gradually add the oil and lemon juice, pounding between pours.